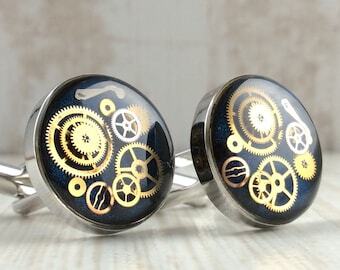 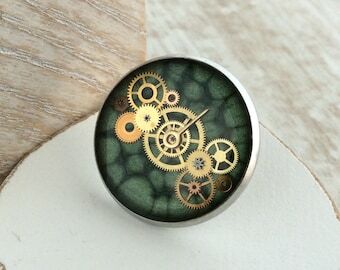 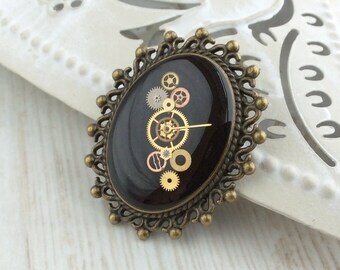 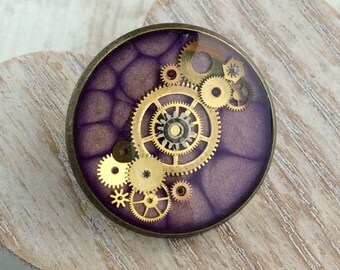 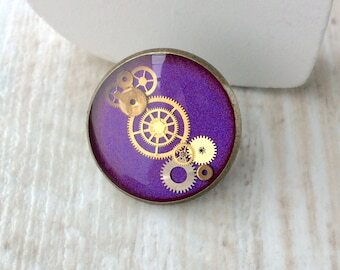 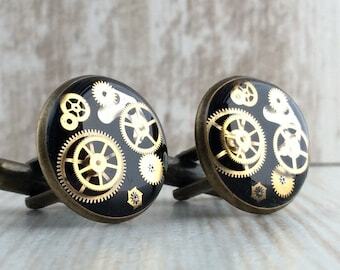 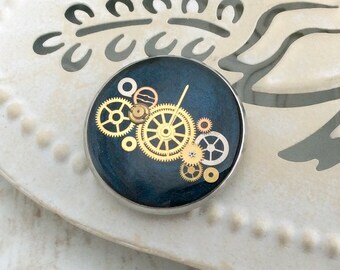 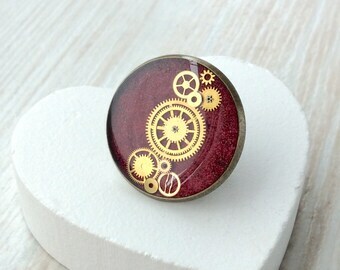 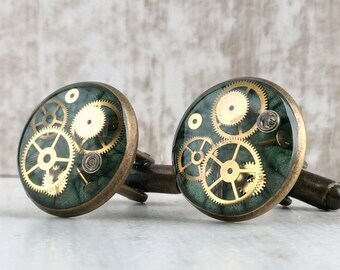 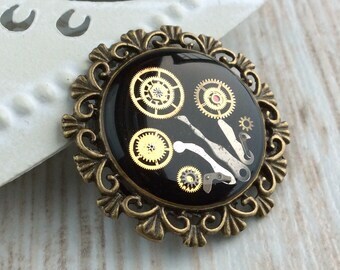 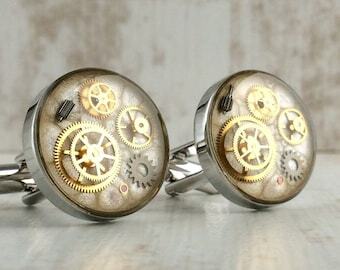 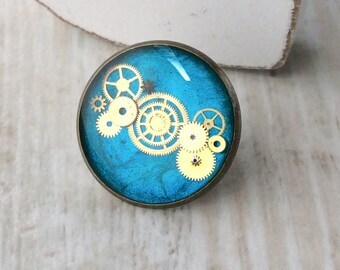 This beautifully hand-crafted tie pin has been made using up-cycled watch parts. 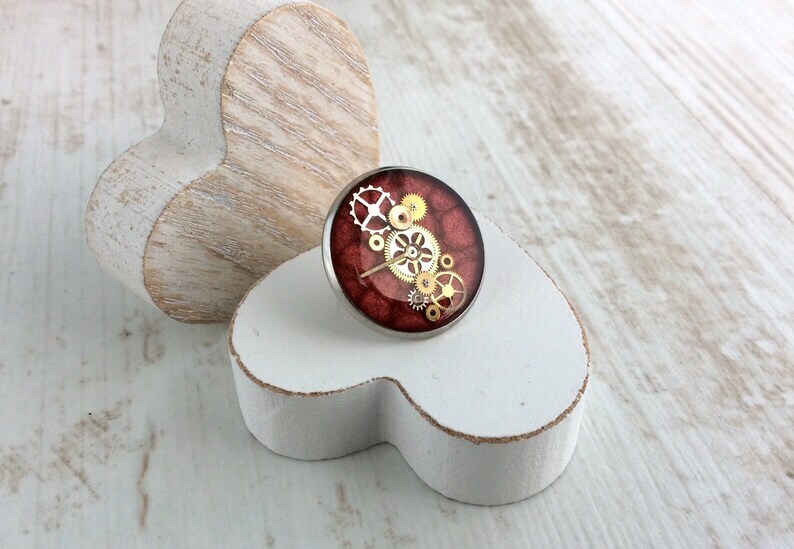 Back-filled with two-tone red paint, the tiny watch workings have been carefully placed within, before being sealed with a clear, high gloss resin to allow the light to reflect beautifully off the cogs within. 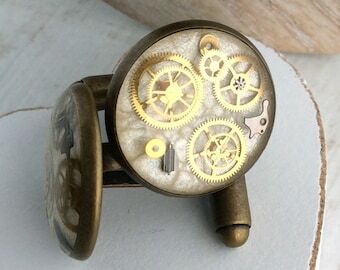 A unique accessory which will make a great talking point. 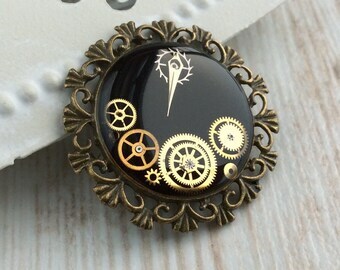 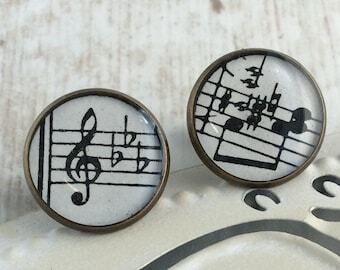 Could also be used as a pin on a scarf, or even a coat or hat.